Funding capabilities ceased on January 31, 2019.
to view projects from the 2018-2019 school year. Our Teacher Mini-Grant Program has funded more than $1.8 million into more than 4,000 grants for classroom teachers throughout the years. Mini-Grants fund the costs associated with student supplies, curriculum materials, books, software programs, etc. providing a multitude of activities, including both remedial and enrichment programs. Each summer teachers complete their online application which is reviewed and approved/declined by their principal. 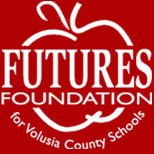 If approved, a FUTURES Mini-Grant Selection Committee consisting of FUTURES Board members, principals, donors and school district staff select the recipients and determine the award amounts. The teachers whose projects have been selected for funding receive their checks at an awards reception each October. In the 2018-19 school year, thanks to the generosity of our donors FUTURES funded more than $112,000 for activities covering STEM, heart healthy living, financial literacy, reading, language arts, social studies, critical thinking and listening skills. Each spring, teachers complete an on-line evaluation summarizing the success of their activities, and include data on their students’ achievements. The individual schools maintain documentation on how the funds were spent. 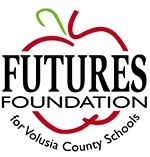 During the year, FUTURES receives invitations to attend Mini-Grant projects along with letters and pictures from teachers providing information and statistics about their grants as the students progress. Donors also are invited and encouraged to attend the projects.